British Comedy TV Shows are the best in the world! 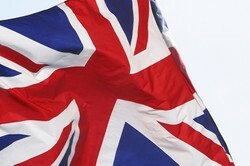 As a Brit you might well expect me to say that the British create some of the best TV Shows in the world wouldn't you! I genuinely believe that to be true and from the reaction of my American friends along with what I read I think there is a fair amount of evidence to support my claim. But which are the best British Comedy TV Shows? In many ways that's down to individual taste of course but what I want to do here is to present you with what I consider to be some of the best TV shows. From the gentle humor of the early days of TV with Dad's Army to the modern day and Miranda's comedy insights into life these classic British TV shows have entertained on both sides of the pond that separates Britain and the USA. So come with me on a journey through the greatest British TV shows and perhaps discover something new to entertain you. Equally if you have friends or relatives that are great British Comedy Television lovers then there's a gift or two waiting for you to buy for them. Classic TV That You Will Love! Dad's Army ran on British television from 1968 to 1977 and continues to be repeated to this day. Based in a fictional town called Walmington-On-Sea, Dad's Army, the series derives its inspiration from events resulting from the Second World War, in particular the role of home guards. Scriptwriters Jimmy Perry and David Croft were able to tap this rich vein of humor and create a comedy series that that continues to crack ribs almost forty years after the last episode was aired. The show begins simply enough, with a call for men to volunteer to the Home Guard as local defense. A showy bank manager elects himself the commanding officer, and beings to put together a muddled group of individuals to protect their town from an invasion. However, despite his obvious self-importance, he is a man whose actions are underlain by patriotic sentiments and genuine concern for the men under his leadership. The story is very realistic, which makes its humorous twists effortless. Dad's Army will certainly give you a good laugh, more than four decades since it was first aired. Dad's Army unassailably represents what this organization was like during the war. For instance, poor enforcement of rules for entering the Home Guard resulted in volunteers over the stipulated 65-year age limit participating in the movement. The show borrows from this by having Private Godfrey, a currently incontinent WW1 veteran with glaring grotesque physical for the duties required of the Home Guard. With this interesting combination of characters, this series definitely has a lot to offer in form of comic relief. Even for younger viewers who cannot relate to the events explored in the series, situational comedy will still leave you thoroughly amused by what Dad's Army has to offer. This TV show is a fitting tribute to the Home Guard. Fortunately, its treatment of the Second World War is more respectful than what most similar comedies have to offer. You will definitely get a clear picture of what impact the war must have had on lives of normal people several miles away from the battlefield. However, it does not delve too deeply into the events, which helps it retain its effective comic touch. The humor is based primarily on the antics of the synergistic cast that works together to deliver genuine and effective classic humor. Most people who have watched this series admit that it is worth watching, and its cost is just a small price to pay. On Amazon, the set has a 4.9 rating, based on buyers who got instantly hooked on the series right from the first episode and stayed hooked to the very end. 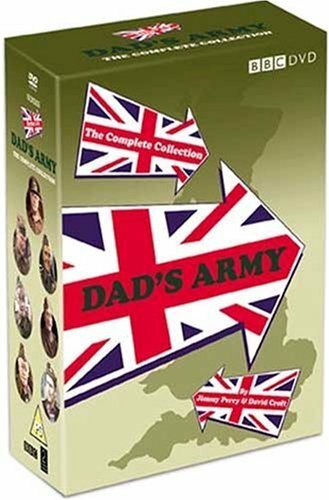 If you are looking to own and enjoy several hours of genuine classic British comedy, Dad's Army should be your utmost priority. In general, this series has complete series 3 to 9 and the surviving 9 episodes from series 1 and 2. Given that only a few episodes are missing, after watching the series, you will feel fortunate that just only so few are unavailable. Despite its greater historical relevance for people who are old enough to remember what the Second World War was like, any comedy lover will definitely agree that this box set is well worth its price. Buy This Classic British TV Show Now! Threats of invasions send this script on hysterical missions. When comedienne Miranda Hart’s semi-autobiographical sitcom Miranda first aired on British television in 2009 on November the 9th, no-one could have predicted that it would be as huge a success as it was; both domestically and around the world. It is written and stars Hart as a fictionalized version of herself, the owner of a joke shop which she runs with her childhood friend Stevie, and lives in the flat above the store. Each episode revolves around the day to day life of Miranda and her close friends and usually features something going wrong to hilarious effect. In many ways Miranda is something of a throwback to British sitcoms of the 70’s, because unlike many of the modern comedy shows on British and American television nowadays, there is virtually no bad language used at all and while there is a lot of storylines surrounding love and relationships, the jokes tend to either be innuendo based or sight gags and slapstick. One of the reasons the series has been so successful and loved is down to Miranda herself, she is not the most attractive person in the world, but she is very likeable and people see themselves in her. As the show progresses you find yourself rooting for her and wanting her to do well in life, love and be successful. Even when she falls over or trips up physically or verbally in social occasions, you laugh but it’s more a laugh with her rather than at her. Another thing that makes Miranda stand out from the crowd is its use of “breaking the fourth wall” when Miranda turns and talks directly to the audience. Although this has been used many times in other sitcoms and films etc., it is still a very hard technique to pull off without it seeming cheesy or gimmicky. Miranda Hart manages to pull it off wonderfully and rather it seemingly like a jarring gimmick that interrupts the flow of the series, the scenes featuring her dialogue with the audience help make you feel more involved in the show. Miranda Hart is not the only gem in this show though, as she is supported by some great talent in the form of Sarah Hadland as her best friend and co-manager of the joke shop Stevie, Patricia Hodge as her mum Penny, Tom Ellis as chef Gary (the person she has an on-off relationship with), and until the end of series 2, James Holmes as Clive Evans who owns the restaurant where Gary works and who is also one of Miranda's friends. Occasionally the show also stars Sally Phillips as Tilly and Katy Wix as Fanny, 2 of Miranda's friends from boarding school who often refer to her as “Queen Kong” and make jokes at her expense. Anyone who is looking for a more charming and less offensive comedy series to watch should consider giving Miranda a try. Miranda herself along with the performances by the other actors, the witty and hilarious script and the often farcical storylines that are never too extreme that they lose complete sense of reality make this one of the best British Comedy TV Shows of the last couple of decades. Which Do You Prefer Classic Or Modern British Comedy TV Shows? Have You Watched Dad's Army Or Miranda? Downton Abbey has become a firm favourite around the world with its focus on the world of the Crawley family and their servants. Two worlds are explored as the story unfolds. You may remember the acclaimed British drama television series Upstairs Downstairs that ran in the early 1970s. It was a story about the lives of servants who were “downstairs."